Questionnaire: You’ve already completed the Booking Form where I got your details and you answered a couple of questions to book. However, this next questionnaire goes into a lot more detail & is equally as important as it covers information such as your pets likes & dislikes, their personality, allergies etc. It also asks you about your relationship with your pet, what you like to do together, what they mean to you etc. Locations: Sessions take place in different, pre-chosen, locations in Sydney. When you booked your session and selected your session date & time - you also chose your location. Whatever you chose when you booked is where your session will take place. I’ll be in touch via email closer to your session date with our exact meeting place on the day. Our Session Will Generally Last Up To 30 Minutes - You'll see me make funny noises, jump around, crawl around on the ground and get into weird positions to grab your pets attention and deliver those great images of your pet for you. All while keeping your pets calm, relaxed and comfortable. Editing: After your session I go into production mode and start editing the images. This will take 1-2 weeks but won't include removing leashes at this stage. Those will be removed from the images after purchase (unless they aren't able to be removed due to the composition or other factors but I'll let you know if that's the case). Once your photos are ready you'll be able to view them via your personal online gallery. Schedule Your Gallery Release Date: You’ll be sent a link to my online calendar after your session to schedule when you want your gallery to go live for the first time. This will be when you’ll be able to view your images for the very first time and select a Digital Package, if you want some of the images for yourself. Since there is a sale of up to 30% off on the my Digital Packages in the first 24 hours after the gallery goes live, I like to give my clients the ability to choose when to make their gallery active. This way you can choose the time and date that works best for your schedule and you don’t miss out on the sale. Your Online Gallery: Will be available for you to view and choose your favourites from two (2) weeks after your session. All images will have been edited fully except for removing leashes and final image cleanup (removing eye boogers etc). That will occur after images are purchased. The online gallery will be available for 7 days. But the sale prices only apply for the first 48 hours that the gallery is live. After that time, the prices go back up to full price. After the 7 day period, the gallery will be archived for 30 days and a re-activation fee of $50 will apply to open the gallery for another 7 days (please note that the sale prices won’t be available at this time and full prices will apply). After 30 days the gallery is automatically de-activated and your photos purged from the system, so I urge you to make your selections within that time frame. Paw-Ships: A Girl's Best Friend (Coffee Table Book): I'll be shooting Paw-Ship Sessions until August. Once the sessions are all completed then the book goes into the design stage. This is where I choose the images for the book, add the stories and design the layout, cover and content within the book. I'm hoping to have the coffee table book available for purchase before Christmas and I'll keep you updated, via email, throughout this process so you'll know what's happening at all times. I'm worried my dog won't sit still for his session - what should I do? This is a concern ALL of my clients share and I understand completely. 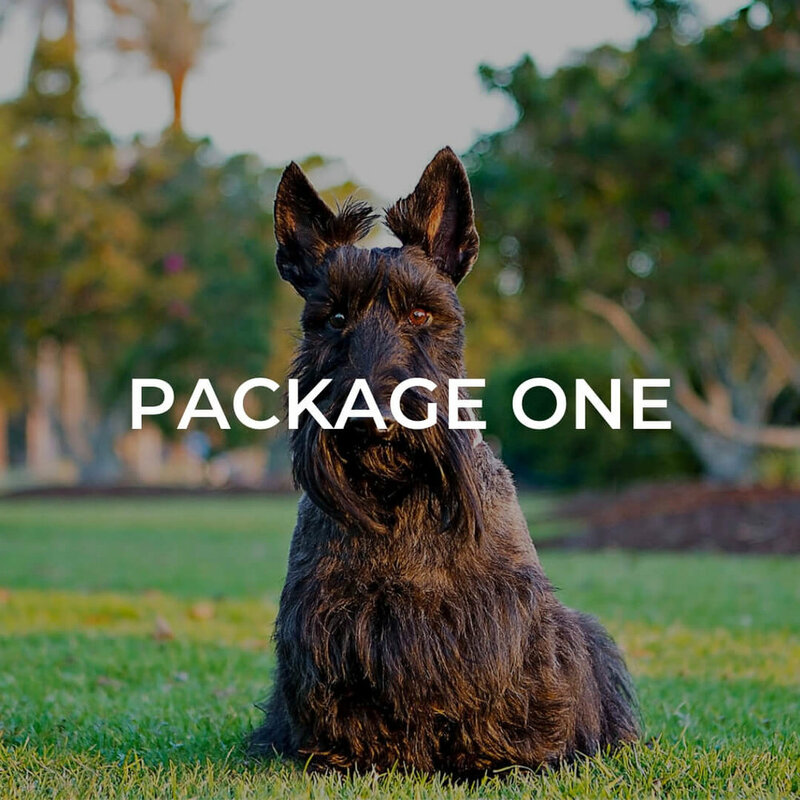 But honestly, your dog doesn't have to be a superstar at sitting in order for me to get great images for you. In fact, some of the best photos I’ve taken for clients are when your pet is truly being themselves. If that means they are bouncy and energetic then bouncy and energetic is what I’ll work with. Nothing makes me happier than seeing the true nature of your pet and capturing it for you. My dog can't go off leash - can he still be photographed? Absolutely! That's not a problem at all. Most of the dogs I photograph are actually on lead - I then digitally remove their leash later. Not at all. If you're more comfortable behind the scenes instead of in front of the camera, that's completely ok. The book will mostly feature photos of the dogs by themselves anyway - and I'll share your story in the text. Can I buy photographs and digital images? Having too many people can be very distracting for animals and I prefer to limit the number of people and pets to only the ones being photographed at the session. After your session, I'll get to work - editing the images so they'll be ready for viewing. Please note - that this doesn't include removing leashes at this time. That will happen after you purchase any images. You'll also be emailed a link to schedule a date and time when you would like your gallery to be released for viewing (please leave at least a week between your session and your viewing date so I have time to process your images). After you book your session, I also provide you with some tips on what to wear, that can help you decide what outfit will be best for your session. The only thing I would strongly suggest is to not to wear clothing with logos, images or strong prints because these types of clothes have the ability to date a photograph prematurely. The best idea is to keep it simple. To your dog this is just another fun day out so it's best to give them a little time before their session to get acquainted with the new area. I suggest arriving early to the location and letting them have a sniff around and play so that they get used to the location before their session. This applies even if its a place they go to often. Another good idea (especially if they are high energy dogs) is to go for a walk before the session and work some of that energy out. BUT... don't tire them out completely as we'll need some of that energy for their session and getting some action photos. Because I want to provide you and your pet with the best possible experience and gorgeous photos then if the session day arrives and it is bad weather (this includes rain, high wind & heat) then I am happy to reschedule the session. Both sunny and overcast conditions are perfect for photo sessions. If your pet has a favourite toy or item that they love to play with then please bring that along. Also if your pet has a special diet and can only eat certain treats please bring some of those along too. The scheduler above allows you to choose a date and time when you would like your gallery to be released for viewing. Once the gallery goes live you'll be able to view your images for the first time via the online gallery. There you'll be able to make your selections and choose your package, if you wish to purchase. And don't forget that for the first 48 hours that the gallery is live you'll also get a discount of up to 30% off any package you purchase! An online gallery is a proofing software that photographers use to easily share our clients galleries with them. You'll be given a link to view your gallery where you can see all of your photos online and select which images you would like to purchase. What happens when the gallery goes live? You'll be sent an email once the gallery goes live with a link to login & view the photos. You'll also be given access to an instructional video walking you through how the gallery works and showing you how you can place your order. How does the 48 hour sale work? Once the gallery goes live (at the time you've scheduled it to), the Digital Packages are on sale for 48 hours. You can save up to 30% off a Digital Package during this sale time. How long is my online gallery available? Your online gallery is active for 7 days in order for you to make your selections. Don't forget that your gallery is on sale for the first 48 hours of those 7 days - with you being able to save up to 30% off the Digital Package prices. After the 7 days are up, if you haven't made your selections the gallery is archived for 30 days and a fee of $50 applies to re-activate it for another 7 days (please be aware that the sale prices no longer apply after the 1st time and full prices apply). If the 30 days pass and no order has been placed then your images are purged from the system automatically. Do you hold on to the images I don't order? / Can I decide later? Unfortunately, I’m unable to archive unordered images long term, so please make sure to purchase anything you love from the online gallery while it's live. 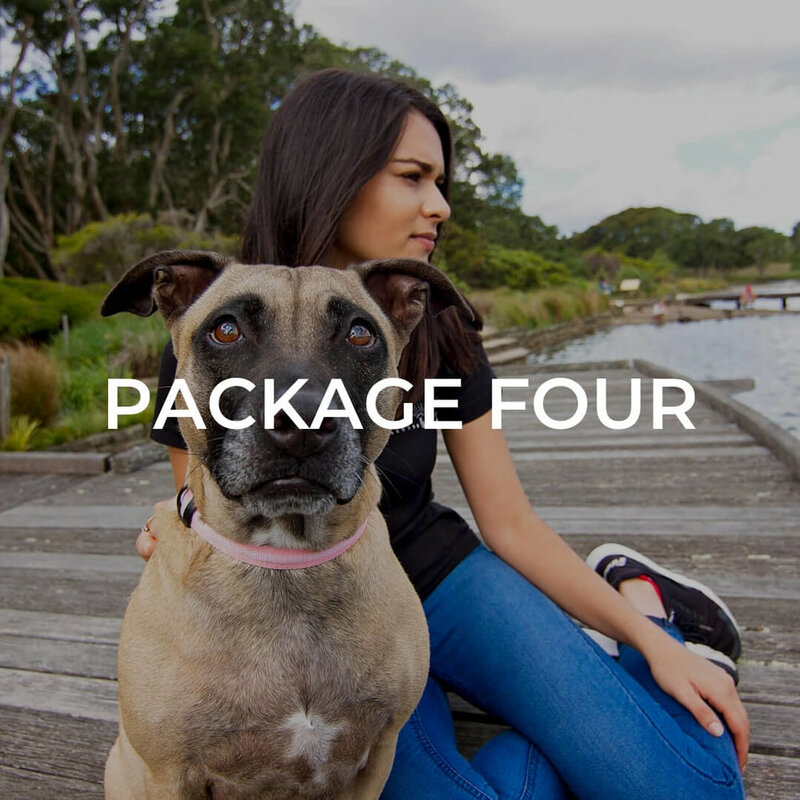 Once you've chosen your package and placed your order, I'll do a final edit on the images (removing the leash, cleaning eye goobers etc). This generally takes 2 weeks and once completed, your digital images will be delivered via an online gallery where you can download your images directly on to your computer. You'll then be responsible for saving the images and backing them up in multiple places. Your prints will then be ordered from my professional lab. They usually take a week or two to arrive. I'll keep you updated throughout the process so you'll always be informed and I'll let you know once your prints have been shipped to you. If I print elsewhere, can you help me? I can only guarantee prints and products that are purchased through me and the professional labs that I use. I do give you a recommendation for where to print your images if you purchase digitals but I can't help you or be held responsible if you choose to print through someone other than myself. Yes - absolutely! Of course you want to share with your friends how cute your pet looks in their photos. So go ahead and post those gorgeous photos of your fur baby once you've purchased them. I'd love it if you'd tag me in the photos too so I can see you loving them. That's the best part for me - knowing how much you enjoy them! 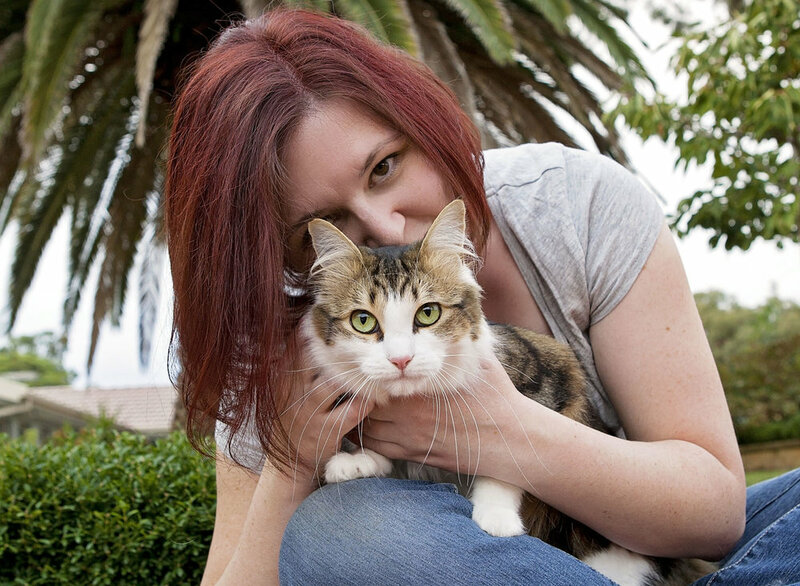 The person behind the camera at Pawtastic Photography or as your pets will come to know - the 'lady with the treats'. Every pet has a story to tell. Whether it's their love of a ball, the way they love to feel the wind rushing past their head while driving in the car or their love for their humans. Each are unique and their relationship with us are special. It’s my job to document your love story (i.e. the pet edition). I’m owned by one cat - Moxie. She’s got me wrapped around her little paws. I don’t drink soft drink either. Water and chocolate milk are my jam.